Avery F. Blake, Jr. followed his father, Avery Blake, Sr. into the US Lacrosse Hall of Fame. Like his father, Avery Blake, Jr. completed most of his lacrosse accomplishments in Swarthmore, Pennsylvania where he attended Swarthmore High School and Swarthmore College. In high school, he won four varsity letters in lacrosse. Blake brought four years of winning teams to Swarthmore College from 1950-1953 when he led the small liberal arts school to four consecutive Pennsylvania-Delaware League Championships. While earning a varsity letter all four years, Blake was selected on the All-American teams in each of his four years at Swarthmore. He was an Honorable Mention selection in 1950, a third team selection in 1951, and amazingly, a first team selection in 1952 and 1953 as an attackman and a midfielder. Blake culminated his lacrosse career in 1953 as a co-captain of the North in the 1953 North-South Game. Continuing his lacrosse career after college, Blake played box lacrosse with the Swarthmore Indians for ten years before turning to field lacrosse with the Philadelphia Lacrosse Club for 6 years, Maryland Lacrosse Club for 3 years, and the San Marino (California) Lacrosse Club for another three years. In 2006, Avery learned that the Gold Country Lacrosse Club had recently been founded in Grass Valley. He immediately volunteered his support and, over the next seven years, helped the fledgling club continue to grow. 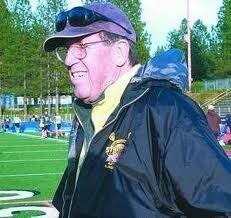 His efforts were instrumental in Gold Country receiving a US Lacrosse equipment grant. He actively led fund-raising efforts, served as Director of Coaching, Club President and was ever-present on the sidelines of home games. More recently, he served as a Board member of the Northern California Junior Lacrosse Association (NCJLA). Avery firmly believed that putting a lacrosse stick in a child’s hands gave that child a better chance in life. Up until his death, Avery Blake was active in starting other new lacrosse programs in northern California. Coached in the boys youth lacrosse program six years, and served on the NC Lacrosse Association Board. Currently, John works for SiriusXM Radio in New York City while living in New Canaan, CT. He has two grown & married children and three grandchildren. Began playing lacrosse in Grade School in Wayne PA….and on through Junior High and High School at Radnor High School Radnor PA Varsity Lacrosse through Senior Year 1964. California Club Lacrosse: Played on SF Lacrosse Men’s Club Team for several games. Was a little too rough, so switched to timing and scoring! Started first San Francisco Women’s Club Team – 1976. NCLA: Secretary of the Northern California Lacrosse Association. Currently: Married to John K Burnap. Work for Merrill Lynch in New Canaan Ct Two grown, married children. Three grandchildren. · LaFayette High School: Onondaga County Champions 1965, 1966, 1967, and 1968 Undefeated Upstate NY Champs 1967 and 1968. First Team All-County and All Upstate NY 1967 and 1968. ·Cornell. Undefeated Ivy League Champs 1970, 1971, 1972. First Team All-Ivy 1970, 1971, 1972. Leading goal scorer Ivy League 1970 and 1972. First ever NCAA Champions 1971. All American 3rd team 1970, 1st team 1971, 2nd team 1972. Captain 1971 and 1972. When graduated: Highest Scoring midfielder in Ivy League History. Currently: highest scoring midfielder in Cornell history on a points per game basis. ·Santa Cruz High School Coach 2000 -2004. First high school team in Santa Cruz County. Old time lacrosse enthusiasts often talk about the spirit of the game, and our life experiences tell us that lacrosse is somehow different than other sports, perhaps because it originated as a Native American sport with deep spiritual roots. 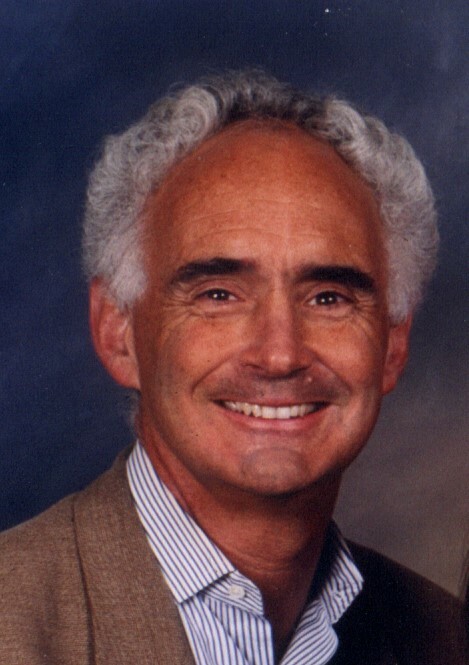 No one exemplified the ideal of lacrosse being so much more than just a sport more than Greg Simon, a longtime Northern California lacrosse official who passed away after a long battle with melanoma on October 29, 2010. 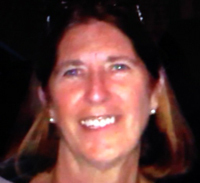 Greg, who was known, literally around the world, as Simo, played lacrosse at and graduated from the Renbrook School in West Hartford, Connecticut; Phillips Academy, Andover, Massachusetts, Class of 1983, and Stanford University, Class of 1987. 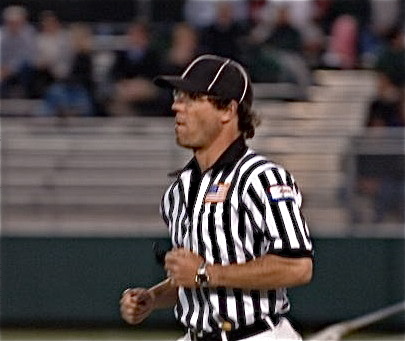 Simo started officiating lacrosse on a regular basis in 1993, and quickly became one of the most accomplished officials in Northern California. He officiated California high school state championship games, California high school section championships, and numerous league playoff and championship games in the Western Collegiate Lacrosse League. His superb work on the field also earned him multiple invitations to the championship tournaments for the US Lacrosse Men’s Division Intercollegiate Associates, which is now known as the Men’s Collegiate Lacrosse Association. Simo’s contributions to lacrosse go far beyond the on-field officiating at which he was a master. Simo was a trainer of officials in Northern California, and his training expertise was recognized by his appointment to the USL Men’s Division Official’s Training Committee. While on that committee, Simo helped write the USL Training Manual that is now used throughout the United States to train entry level and high school officials. While involved in training new officials, Simo and his close friend and fellow Northern California lacrosse official and trainer, John Boone, found themselves referring trainees to officials supply stores for the required gear. Simo and Boonie decided that they could supply officials with the uniforms and other gear we need for less money than the already established suppliers, and ZebraWear was born. Never one to accept the status quo if he thought something could be improved, Simo devised the ZebraWear 20 second/100 second digital timer that is now sold by all of the main providers of lacrosse officials’ gear, and is in widespread use by high school and college officials throughout the United States. Simo traveled all over the world to officiate lacrosse games, including at the Berlin and Prague Cups from 2007 – 2010, the 2008 European Championships and the 2010 World Games Festival. Wherever he went, Simo was an ambassador for lacrosse and lacrosse officiating; while officiating in Berlin, Simo created and sold tee shirts for the Berlin Open and donated all of the proceeds from their sale to raise money for the Berlin lacrosse organization. Simo was always willing to work with younger or less experienced officials to help them get better. He had a special ability to see things from a different perspective, and he used that ability to provide a helping hand to newer officials. Simo was always patient and never overbearing. He taught officials in a way that made them want to improve; and in the games that he officiated, he’d simply demonstrate how it’s done. Simo’s calm demeanor while training or working games with new officials was also displayed while in the heat of hotly contested “big” games. No matter how excited coaches, players, or spectators became, Simo remained unflappable, always demonstrating by his conduct and demeanor that winning or losing a particular game is less significant than maintaining the proper spirit of the competition. Simo was one of those officials who could make the right calls, and explain them so that the players, coaches and fans would understand. Consequently, the action on the field would often get better as a result of the way Simo called the game. 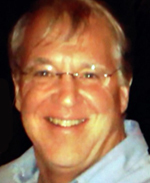 In addition to lacrosse, Simo was passionate about caring for and preserving the environment; he was a keen proponent of electric cars and solar energy and he supported numerous solar energy and environmental causes. Simo was also a fitness buff, but as with everything he did, he did it in his own way; as a member of the San Francisco Dolphin Club, he swam year round in the frigid waters of the San Francisco Bay. Finally, but most importantly, Simo was a loving husband to Heidi, a caring father to his daughter, Macquarie Amiela, and a great friend to lacrosse players, coaches and officials everywhere, but particularly in Northern California. To those of us who knew him well, his most obvious attribute was his huge heart. No matter the situation, Simo’s reaction would come from his heart. His generosity of spirit and the warmness of his friendship cannot be overstated. There isn’t anyone else like him. Although we will always smile when we think of Simo and the huge contributions he made, the smiles will be tinged with sadness because he will be sadly missed and no one will ever take his place. To honor the many contributions that Simo made to lacrosse in Northern California, and to help ensure that he will never be forgotten and that his attitude and approach to officiating will live on, the Northern California Lacrosse Referees Association is currently creating an award to be named after Simo. In Memory of Greg “Simo” Simon, an Autumn Blaze Maple Tree was planted at the north end of the Village Green Fields in Incline Village, Nevada in July 2012. This tree overlooks the fields where Simo loved to work games during the Annual Lake Tahoe Lacrosse Tournament each July. Raised in Baltimore's Roland Park neighborhood, Michael grew up immersed in lacrosse and literally in the shadow of two legendary lacrosse institutions - Johns Hopkins University and Gilman School. It was at the latter that his lacrosse career blossomed. A two year starter, his high school career culminated in 1966 with his Gilman team posting a 9-1 record and with his unanimous selection as the first team goalie on the All-Maryland team. After freshman year at Wesleyan University where he play freshman football and was the co-captain of the freshman lacrosse team, Michael transferred to Yale to pursue a more focused education in architecture and urban design. In his junior year, Michael helped Yale capture a portion of the Ivy League title and was named to both the first team All-Ivy and All-New England teams. In his senior year - a season shortened by the student protests of 1970 - he was named honorable mention to the All- America Team in addition to repeating on the All-Ivy and All-New England teams. He was also named the Most Valuable Player on the Yale team and selected for the 1970 North-South game. His busy 1970 concluded with his participation as the starting goalie for Lancer's Lacrosse Club that represented the United States in that year's Australian championship tournament. For the next three years, while in Architecture School at Yale, he was the Bob McHenry's assistant coach for the Yale Lacrosse team. After graduation and employment in Toronto, Michael moved to California and resumed his lacrosse career in 1976. In his seven seasons with the San Francisco Lacrosse Club, the team won three California Championships. Michael was named an all-star each season and was five times the recipient of the award as the league's best goalie. During three of those seasons he also played on the team that represented California in the annual Vail Summer Tournament. In 1980, California won the tournament, beating a highly regarded Baltimore side, and Michael was named both the California and the Tournament's Most Valuable Player. Following the 1981 season, Michael retired from competitive lacrosse to focus on his newly established architectural practice.